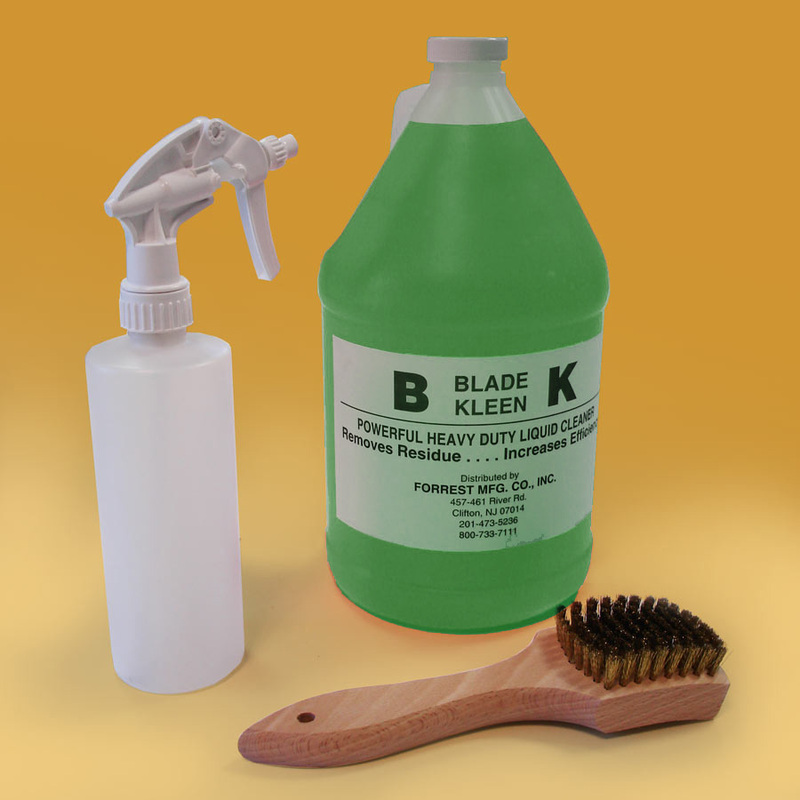 Blade Kleen is recommended for removing wood and plastic buildup from the teeth and sides of your saw blades. Clean cutting edges help saw blades and other tools cut without burning. BK will clean and degrease most nonporous surfaces. It is powerfull, heavy duty, industrial liquid cleaner. The kit includes 1 gallon jug of BK, spray bottle and brass brush. BK works best when warm (140°F). For heavy residue, use full strenght. BK can be diluted with water.